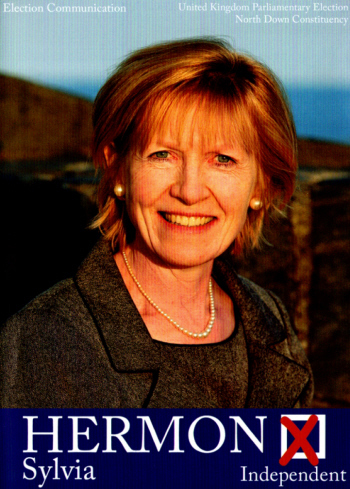 From the 2010 UK Election a leaflet for Independent candidate Sylvia Hermon running in North Down.She was easily elected. Having been first elected in 2001 as an Ulster Unionist Party candidate, she quit the party in 2010 in protest at the UUP’s alliance with the Conservative Party. She is the widow of Sir Jack Hermon, former Chief Constable of the RUC. 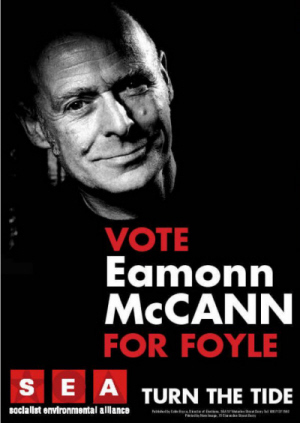 An election flyer from the 2005 UK Westminister Elections in the Foyle Constituency, Socialist Environmental Alliance (SEA) candidate Eamonn McCann. He received 1,649 votes. A veteran campaigner, the well known Eamonn McCann ‘has been active in left-wing politics for more than 40 years. He was a member of the Labour Party in the 1960s and provided a strong socialist voice in the early civil rights movement. He first stood for Foyle in 1969. 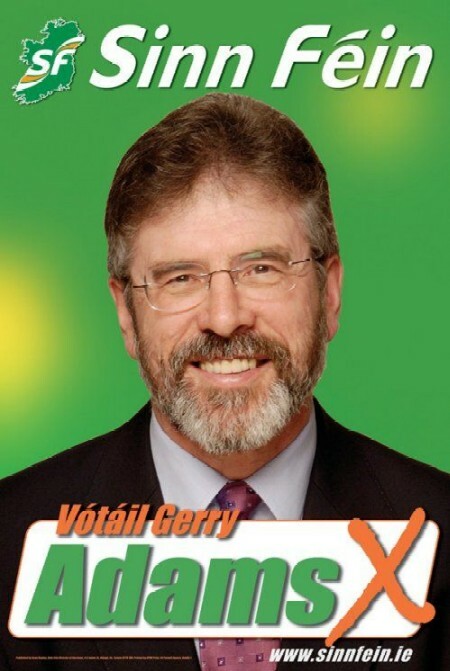 He has been involved ever since in challenging the abuse of State power, particularly in relation to Bloody Sunday.He is a campaigner for the rights of children and disabled people, and against sexism, racism and homophobia.